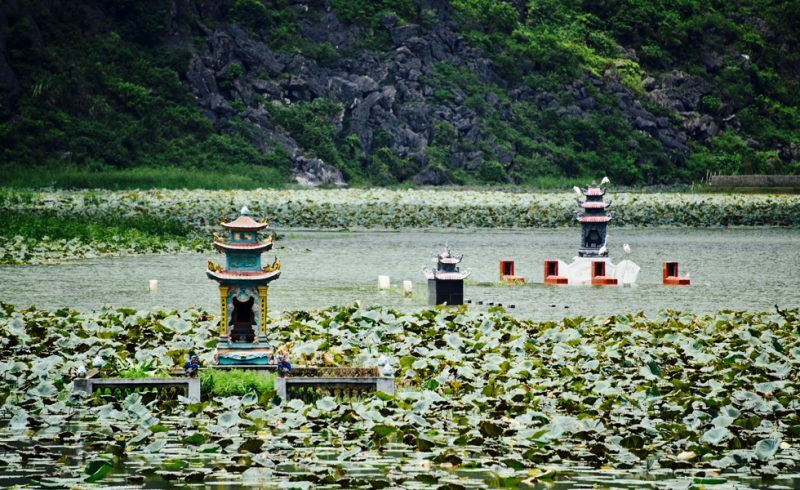 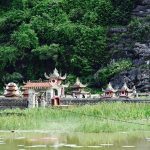 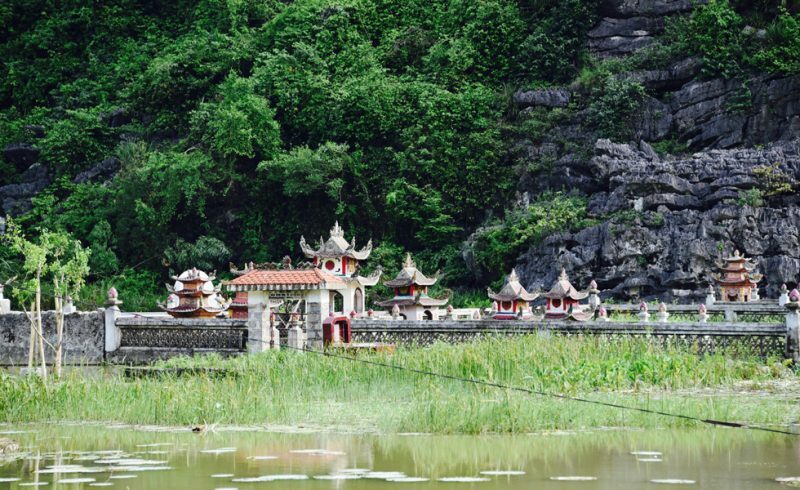 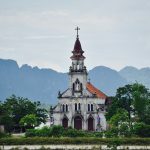 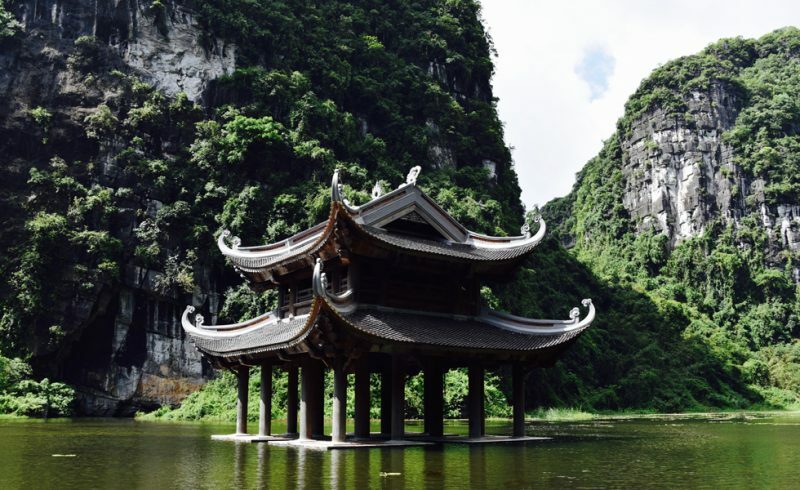 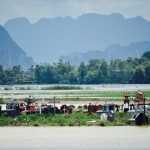 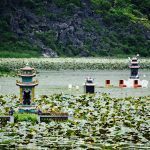 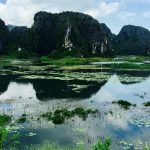 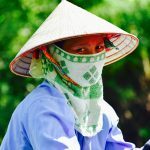 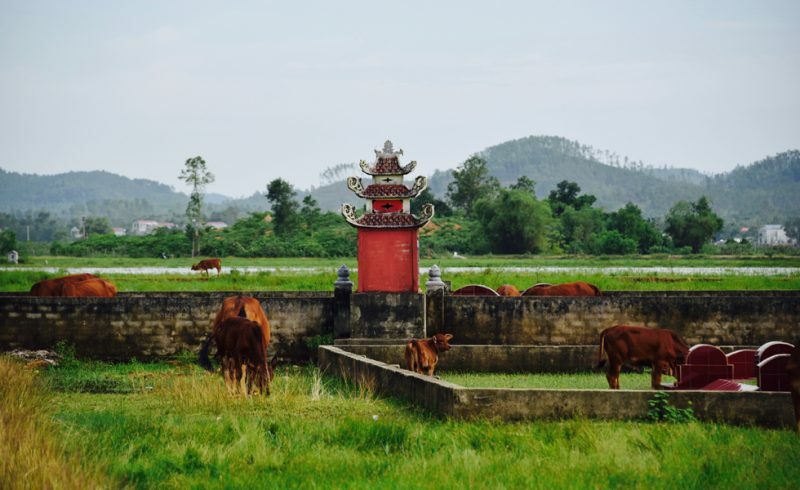 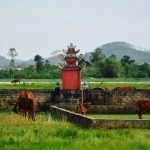 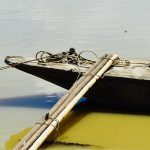 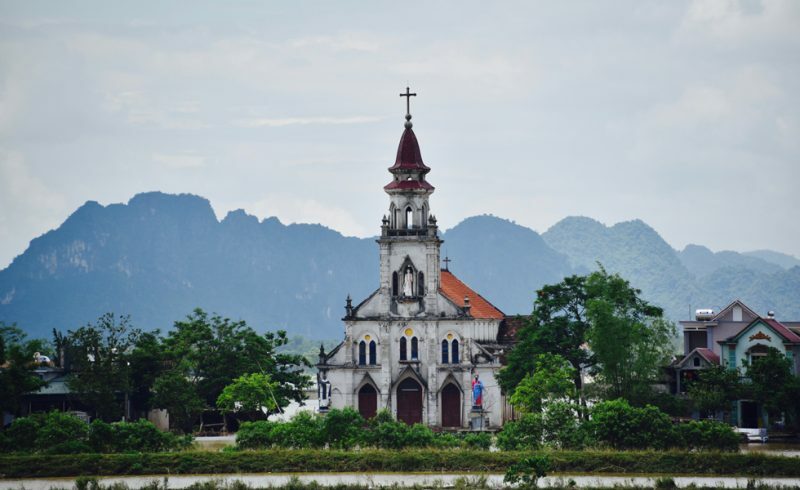 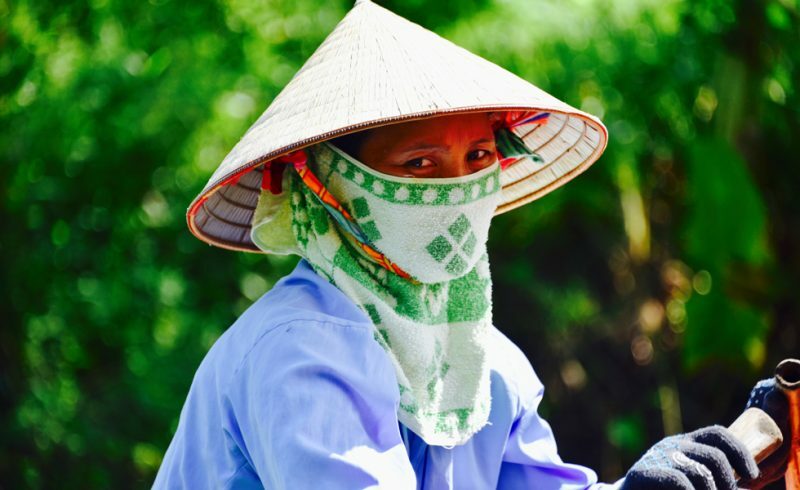 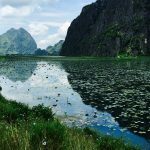 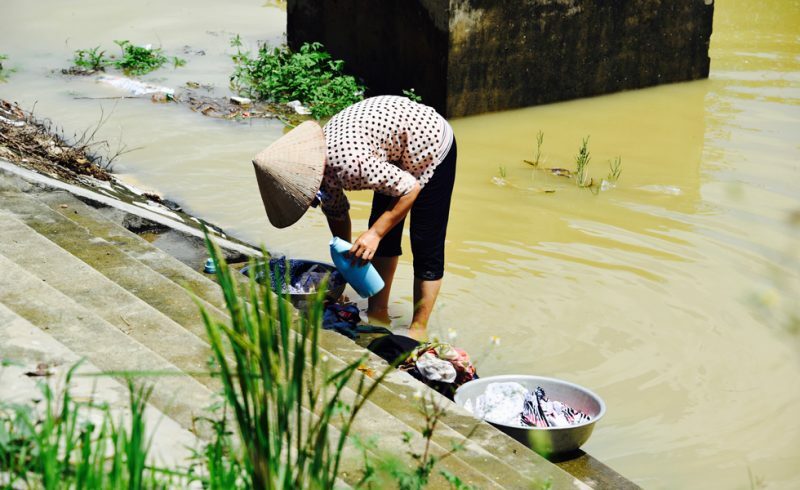 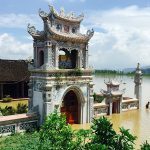 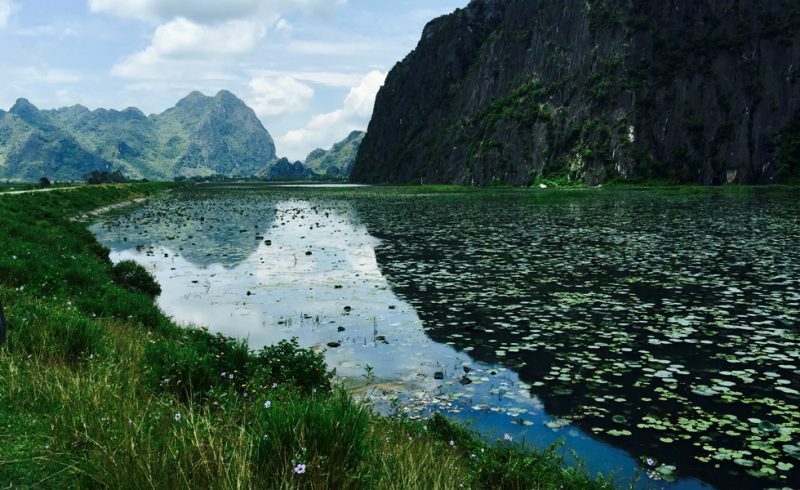 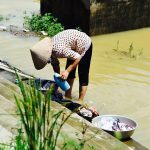 After the spectacular rice filed trekking in the Tonkinese alps and Sapa, all the palaver with the stolen passports and being land locked in Hanoi – we escaped to Ninh Bình! 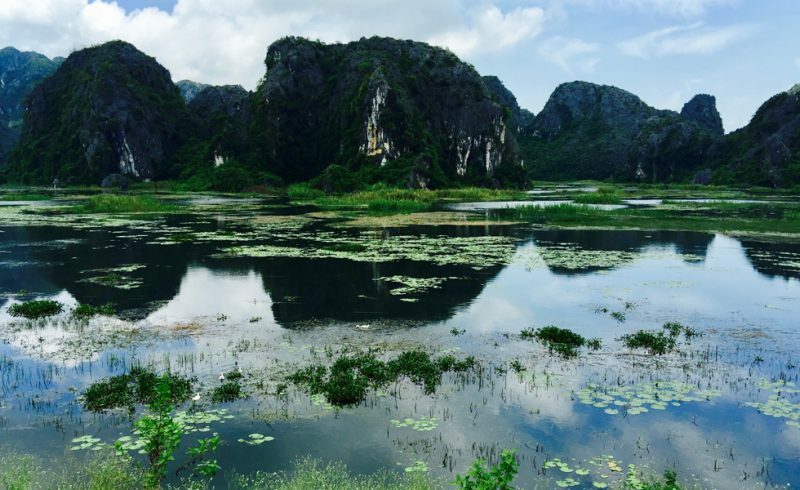 At first it rained like crazy but on the second day – the sun came out and made everything good again. 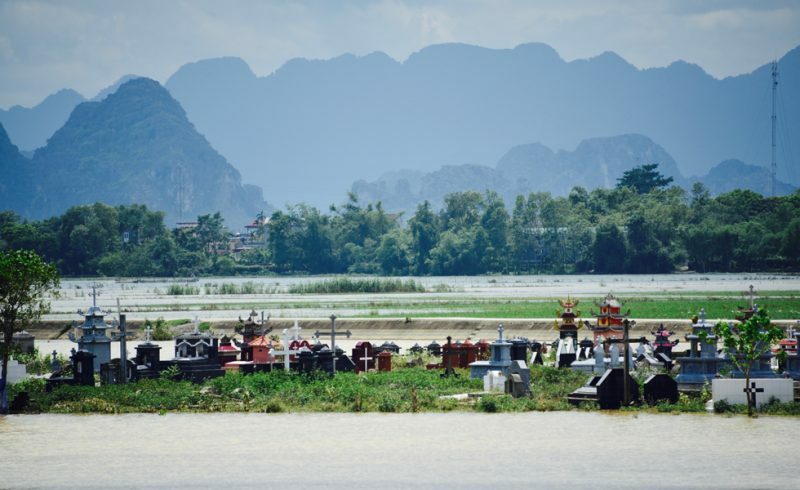 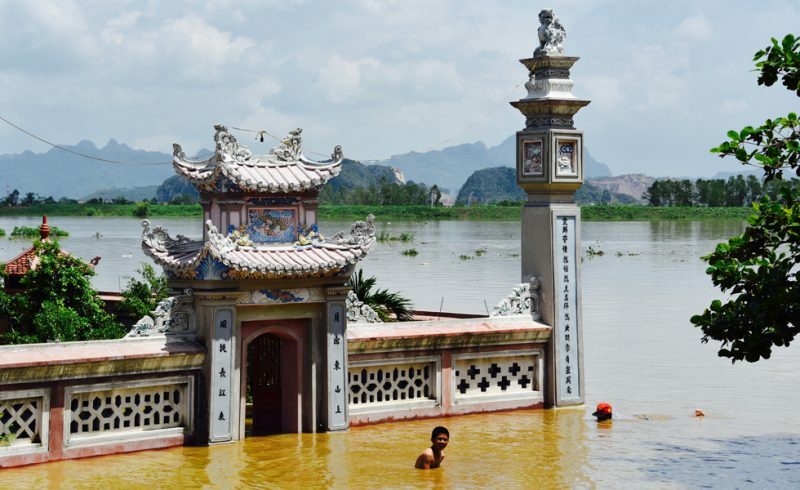 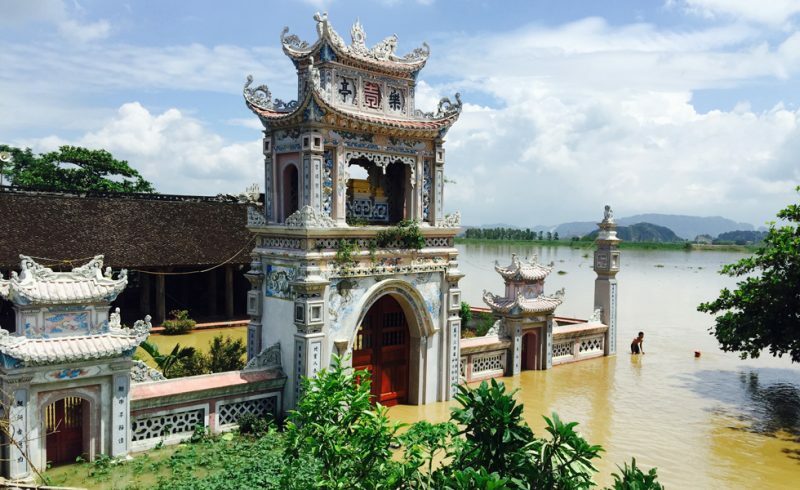 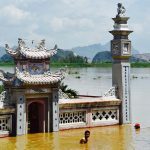 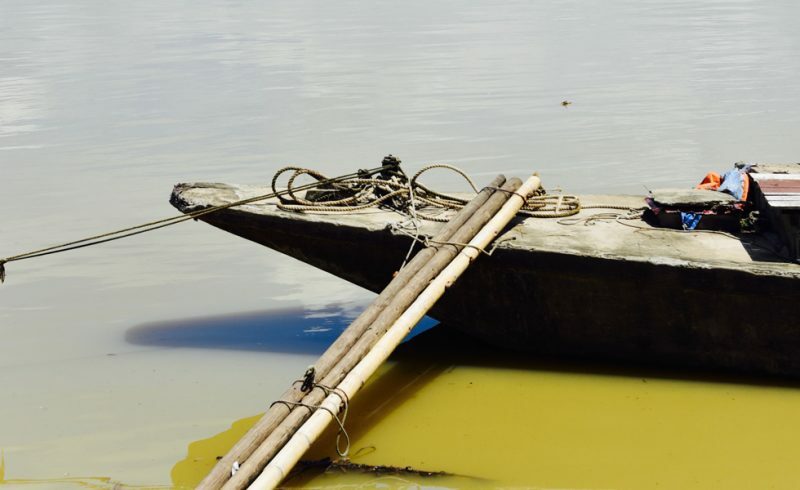 We went on boat trips, visited pagodas and temples, admired flooded church yards and burial sites. 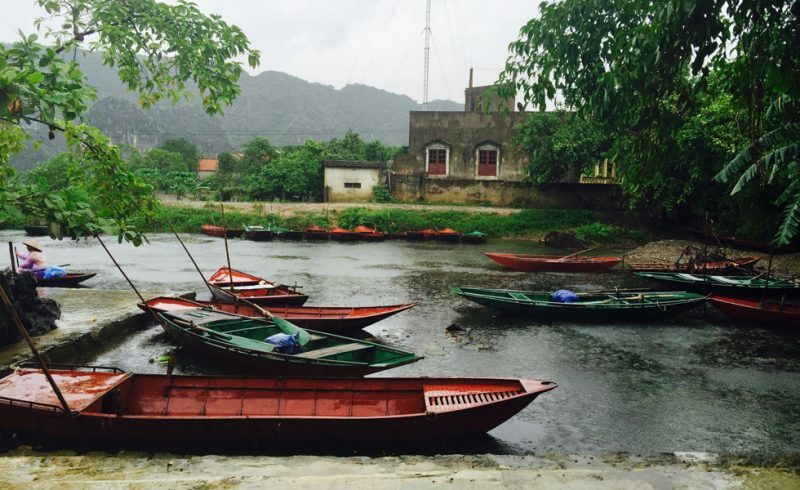 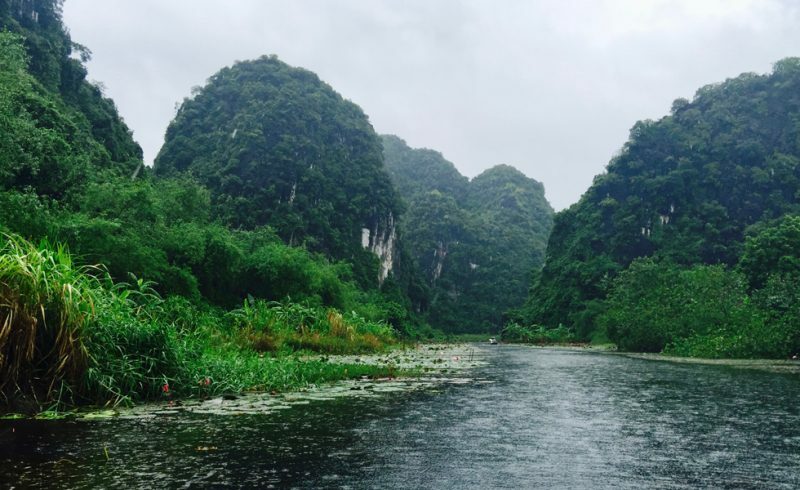 Ate some unusual foods and cycled amongst the peaceful canals and karst mountain landscape. 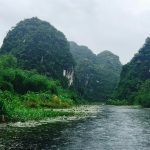 In such a magical landscape with waterways, caves and lush green mountains it’s a real shame that the development is unregulated. 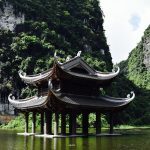 Concrete factories and power stations spring up in the most unlikely spots, where one would hope nature and beauty would be preserved but no. 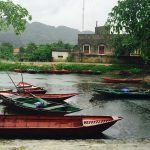 Here too, beauty has to give way to development.